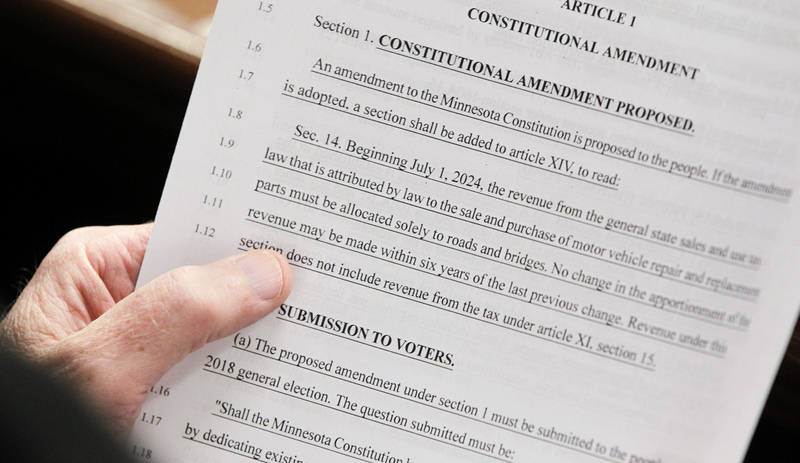 Could a constitutional amendment reroute funding to Minnesota's roads, bridges? 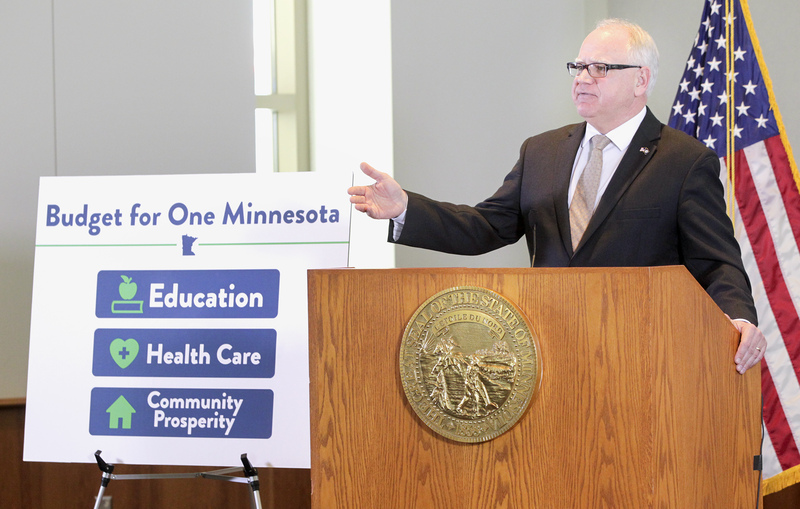 Minnesota voters could weigh in this November on a measure that would mean more funding for roads and bridges — but could mean less money would be available for other priorities in the state’s budget, like health care and education. 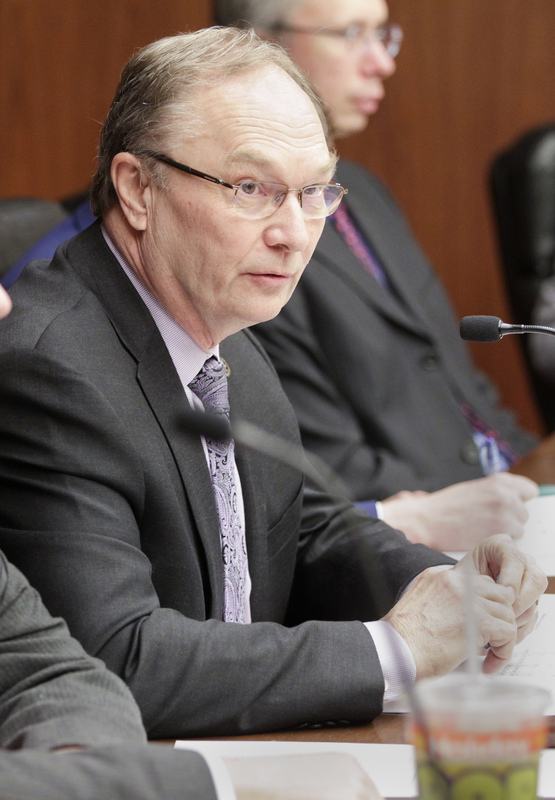 HF4437, sponsored by Rep. Paul Torkelson (R-Hanska), proposes to amend the state’s constitution to dedicate sales tax revenues from motor vehicle repair and replacement parts toward road and bridge construction. Last year, lawmakers passed a transportation funding law that shifted multiple transportation-related sales tax revenue sources away from the General Fund. Future Legislatures, though, could move those dollars away from transportation, bill supporters say, making it necessary to amend the constitution to dedicate those funds toward roads and bridges. The House Transportation Finance Committee approved the bill, as amended, on a split voice-vote Thursday and re-referred it to the House Taxes Committee. A companion, SF3837, sponsored by Sen. Scott Newman (R-Hutchinson), is awaiting action by the Senate Taxes Committee. Under current law, tax revenues generated through auto repairs and sales of auto parts go into the state’s General Fund, to be divvied up by lawmakers among a number of funding areas during the biennial budgeting process. The bulk of the state’s transportation budget, meanwhile, is made up of revenues from dedicated funding sources like Minnesota’s gas tax, other fees, and funding from the federal government. Supporters of the bill — which included a diverse coalition of business and labor groups that testified during Thursday’s hearing — say those dedicated funds aren’t keeping up. And the chances of finding the political will to generate more funds through those existing avenues — like increasing the gas tax for third time in 30 years — are slim-to-none. Opponents, though, noted the proposal wouldn’t raise new funds for the state’s transportation system; rather it would enshrine a shift of existing revenues in the state’s constitution. They said the plan would handcuff state lawmakers, and it would pit transportation against the state’s other major funding priorities. 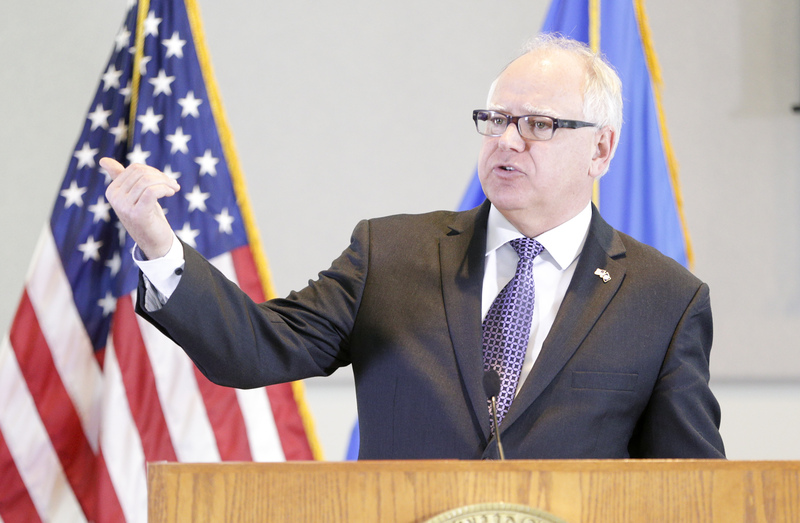 The bill also neglects both Twin Cities and Greater Minnesota transit systems, leaving them out of the formula that would allocate the newly-dedicated funds. If the amendment were adopted by voters, it would go into effect July 1, 2020. Under a formula that would be created, 95.5 percent of revenue collected would be allocated to the Highway User Tax Distribution Fund for use on state roads and highways. The remaining 4.5 percent of revenues would be directed to the Small Cities Assistance Program to fund local road projects. The dedicated funding would be phased in over fiscal years 2021-24, distributing 60 percent of estimated revenue to transportation in Fiscal Year 2021 and increasing to 100 percent starting in Fiscal Year 2025. What would voters see on the ballot? 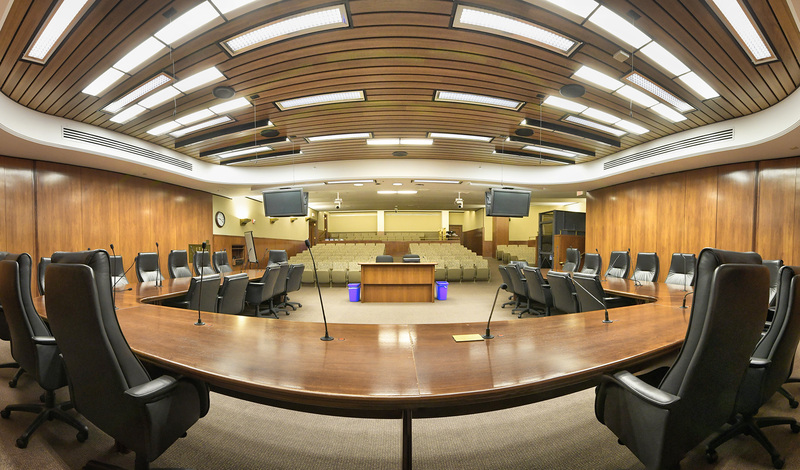 “Shall the Minnesota Constitution be amended to increase funding for roads and bridges by dedicating existing sales tax revenue from the sale of motor vehicle parts?"